Agassiz – A patrol along the bank of the Fraser River took a twist from investigation to river rescue for RCMP First Nations Police (FNP) officers. RCMP and DFO have been on the lookout for poachers, including one that pulled an endangered sturgeon out of the Fraser River near Chilliwack, dumped it into the back of a lick up truck and drove off. The poacher has yet to be found. 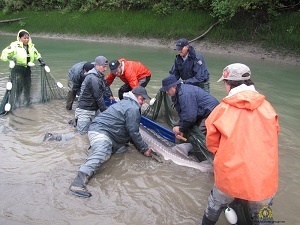 On Thursday afternoon (September 20) FNP officers located a sturgeon stranded in a pond of low water on the bed of the Fraser River near Wahleach Road (Between Agassiz and Laidlaw). The officers quickly recognized the fish was in danger and could not survive in its environment. The RCMP immediately reached out to community partners and a plan was made for the safe capture and release of the stranded fish. 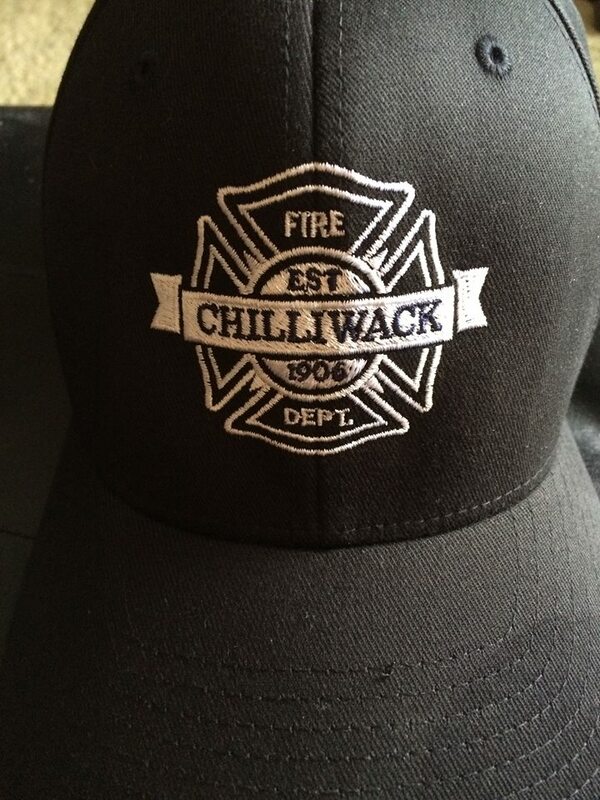 Early the next morning FNP officers accompanied by biologists from the BC Ministry of Forest Lands, Natural Resource Operations and Rural Development, Lower Fraser River Guardians and a volunteer from the community travelled to the site. The 75 year old sturgeon -measuring 8’ in length and weighing an estimated 300 lbs – was safely captured by the team and released back into river. Be the first to comment on "RCMP Sturgeon Patrol Turned Into Sturgeon Rescue (VIDEO)"